Custom built home perfectly situated on 2 Â½ acre lot in desirable Forest View Estates. 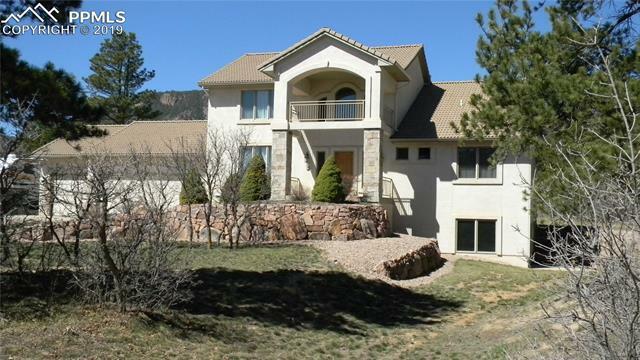 Wonderful Front Range views, & literally just steps to the Pike NF recreation. Large lot provides quiet privacy & plenty of space. Two-story Entry Foyer w exposed stairway, landing, & upper level Loft/Study. Hardwood floors throughout entry, kitchen and dining areas. Main level living w spacious Master Bedroom, 5-Pc Bath, Laundry, & Office/2nd Bedroom. Open Kitchen & vaulted Living Room w window wall, gas FP w 2 story stone hearth.